Since ancient times, plants played a basic role for humans and resulted in a fundamental resource both for surviving in the environment and for life quality improving. Particularly, many plants had specific properties which can be applied for some benefits to human health. 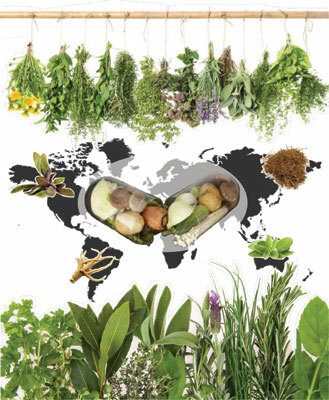 Moreover, the large variability of plant species, located in different regions of the planet, has led to the development of distinct cultures and then to the use of plants as pharmaceuticals. In recent times, the use of plants as pharmaceuticals has moved from the historical empirical knowledge and applications to more scientific uses. Presently, a large number of plant-derived pharmaceuticals are used by humans and in view of growing human needs, extensive research activities have started for discovering new plant molecules. It is becoming clear that the wide diversity of natural compounds is a powerful stock for new pharmaceuticals against old and new pathologies. Plant molecules, traditional medicine, pharmaceuticals, plant, pathologies.